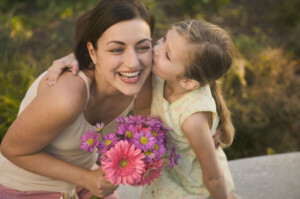 Mother’s Day Specials 50% off at Rainbow Dental Practice!!! May is officially here and Mother’s Day is just around the corner! Did you know that Mother’s Day has been celebrated around the world for over 100 years? Dr. Shalini and our team at Rainbow Dental Practice would like to honor mothers this month by sharing some trivia about Mother’s Day and offering suggestions for gifts. •Historians believe the earliest celebrations in honor of mothers began in Ancient Greece. People would pay tribute to Rhea, the mother of all Grecian Gods with fine gifts such as honey and flowers. •During the Medieval period of Europe, the nobility gave servants a day off on the fourth Sunday of Lent. Servants used this time to spend it with their mothers. •Mother’s Day is now celebrated across the globe. Australia, United States, Turkey, Denmark, Italy and Russia are a few countries that participate in Mother’s Day celebrations. Mother’s Day Gifts at Your Rainbow Dental Practice!!!! Are you having trouble deciding what to get your mom for Mother’s Day? Fortunately, Our team have you covered! If you bring your mother with you to a dental appointment, she gets a 50% off on her Comprehensive Oral Examination & Professional Dental cleaning. Show your mom how much you appreciate her this Mother’s Day with a relaxing trip to Rainbow Dental Practice. We believe every mother should be honored and pampered this month! Why you should not take Tooth extraction lightly? Why does your tooth hurt after a root canal treatment?